Dimensions: height 75cm, length 140cm, width 80cm, weight 23kg. Available colors: white, taupe, teak, brown, dark grey, black. 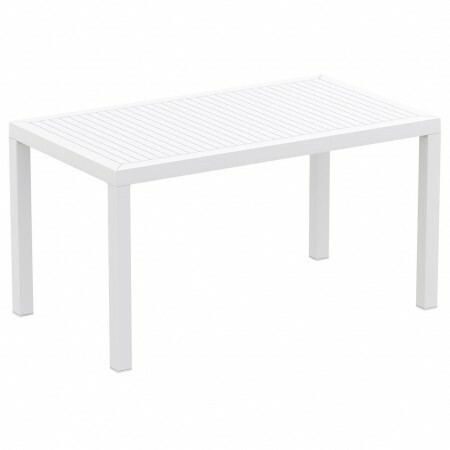 Ares 140 is an elegant and robust rectangular dining table suitable for indoor and outdoor use. Table that thanks to the simplicity of its lines, is able to integrate in any environment: from the private terrace to the contract furniture project. Ares is made of durable polypropylene resin reinforced with glass fiber. Equipped with treatment against atmospheric agents and protection from UV rays. Ares can be easily dismantled (see assembly manual and attached video). Also available the Ares 80 square model, visible below in related products.